Journal Prompt 24: What is your most favorite place in the world? Is it a country, a town, a room, a secret place that no one else knows about? I know you have one, I want to see it!! 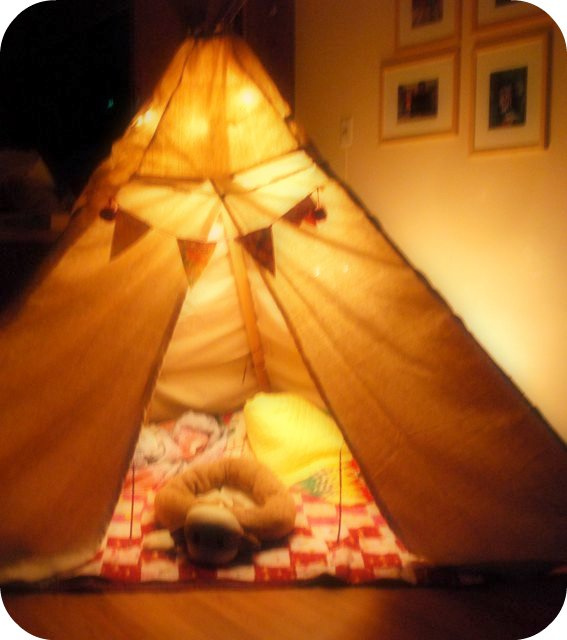 My favorite little place is in the tee-pee that is in my living room. My sister made me this for my birthday this year and it's like a little eden here at home. I journal here, read here, and craft in here sometimes too. Catalina (my chihuahua) seems to think that she owns the entire tee-pee now that I put her little pet bed in there. It's cute. We snuggle in there too! Ok journal friends, have fun with this one :) I can NOT wait to see what you come up with!! Have a great Wednesday. Im giving you the Sunshine and the Versatile awards! OMG. Can I have a teepee too? It looks wonderful in there. What is the teepee made of? I just posted my work on my blog. 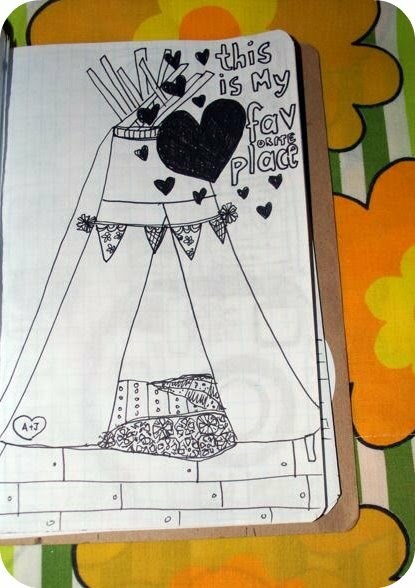 I like your teepee. It looks soooo cosy. I think if I had one I would be more motivated than I am to write stories. 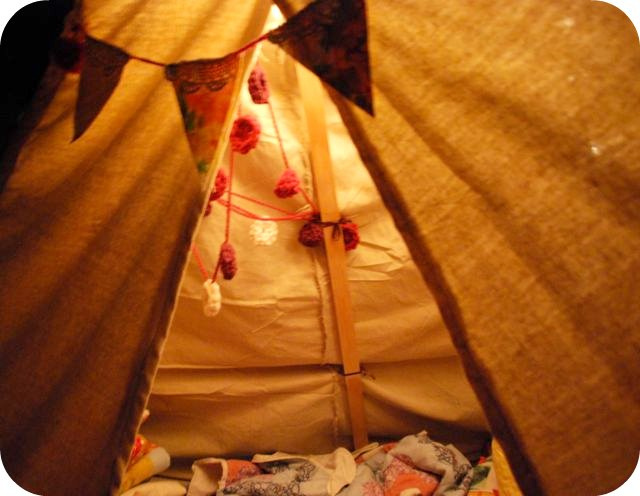 Oh man...I want a teepee to journal, craft & read in! That's so cool. Think your sister will be mad if I copy her brilliant idea?! Wow! 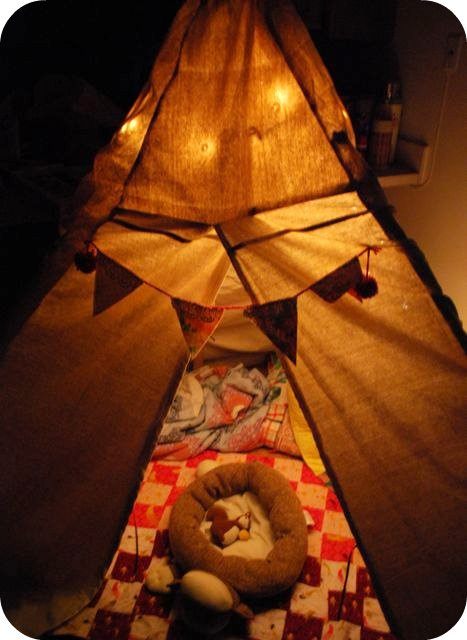 That teepee is amazing!! It looks like it just oozes creativity. I bet you do your best work when surrounded by it's awesomeness!